The iMOVE Cooperative Research Centre has released its report recommending establishment of a National Freight Data Hub to track freight use and identify choke-points and congestion across Australia. Federal Transport Minister Michael McCormack has confirmed iMOVE’s Freight Data Hub recommendation has been accepted and will be established with more than $8m in funding. The hub will act as the nation’s central collector and disseminator of freight data, in the same way that the Australian Bureau of Statistics provides a vital information for managing the economy. “The expanding population and the growing popularity of online shopping are dramatically increasing the national freight task,” iMOVE managing director Ian Christensen said. “iMOVE expects this to increase by 75% in 20 years (2011-2031) and that means, more trucks, more freight trains, and vehicles operating more hours every day. “That growth in truck movements is ringing alarm bells. It brings with it the unenviable prospect of more congestion, more air pollution, more noise and more truck accidents; unless we do something about it,” Mr Christensen said. The new hub will harness cutting-edge technology, to monitor freight use of the country’s transport system. It means, for the first time, there will be central, neutral collection point for data of all freight transport system users – private companies, regulators, state transport departments and other government agencies. “In a country as large, and yet as intensely urbanised as Australia, freight supply chains play a key role,” Mr Christensen said. “They connect our mining and agricultural resource basins to our cities and ports and, in the reverse case, receive and distribute containerised merchandise and vehicles sourced from overseas. The efficiency of these freight supply chains materially impacts on our productivity performance and, ultimately, living standards. “These new datasets will provide valuable information about current and future congestion choke-points and where scarce public investment should be best directed,” he said. 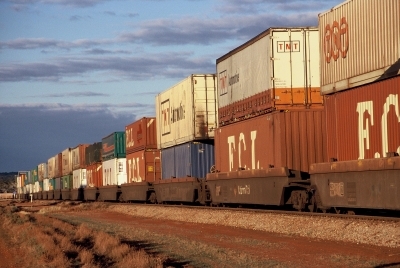 Mr Christensen said the economic gains from making better use of freight date were significant. The reforms build on the 20-year National Freight and Supply Chain Strategy, which recommends benchmarking freight performance through identifying, collecting and sharing data.